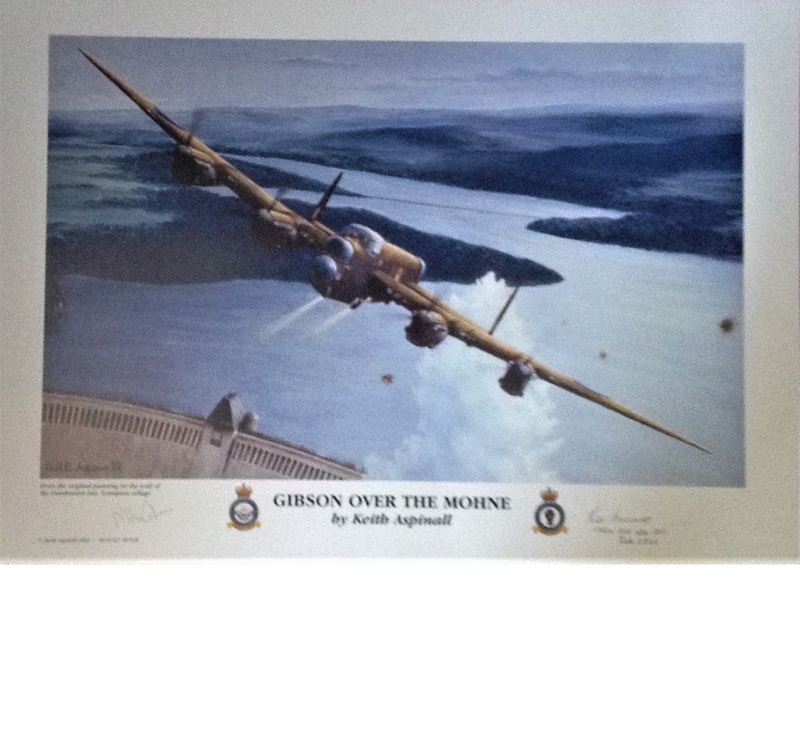 Dambuster World War Two print 24x18 titled by the artist Keith Aspinall titled Gibson Over the Mohne from the original painting on the wall of the Dambusters Inn, Scampton Village signed in pencil by Les Munro DSO, DFC and Mike Gibson. From the collection of 617 Sqn aviation historian Jim Shortland. Good Condition. All signed pieces come with a Certificate of Authenticity. We combine postage on multiple winning lots and can ship worldwide. UK postage from £3.99, EU from £5.99, Rest of World from £7.99.